The filtered water flows back into the aquarium through a tube ending in the bottom right hand corner of the photo. 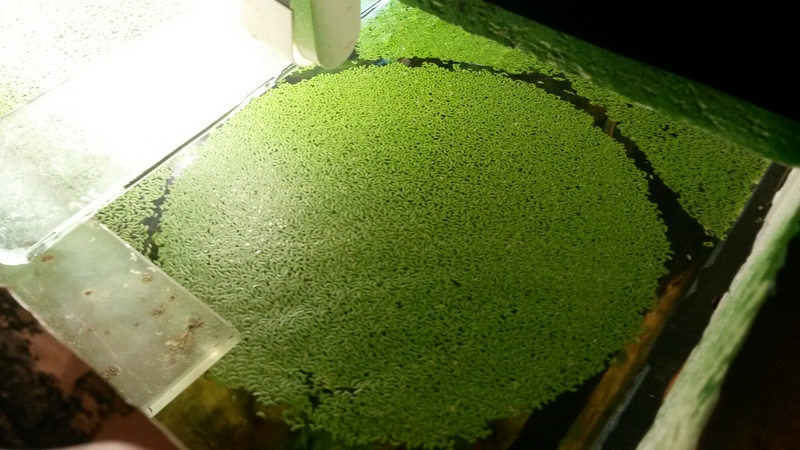 The duck weed span round slowly and steadily, in an almost perfect circle, until I sprinkled the flakes onto it, and broke it. It’s like a green supermoon 🙂 – nice!